The Utah Occupational Therapy Association (UOTA) is the official representation for the profession of Occupational Therapy in Utah. 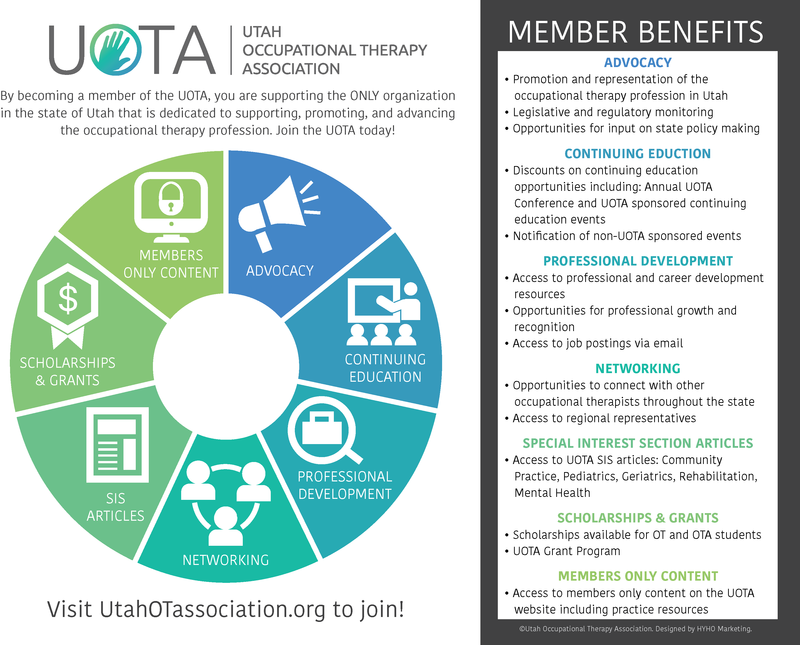 By becoming a member of the UOTA you are supporting the only organization in the state of Utah that is dedicated to supporting and promoting the practice of occupational therapy. The UOTA is committed to serving the needs of occupational therapy personnel in Utah and has many important projects that need your support. These projects affect you, your career and your profession. Please help support and strengthen the UOTA by becoming a member and volunteering with the UOTA. Become a UOTA Member Today!